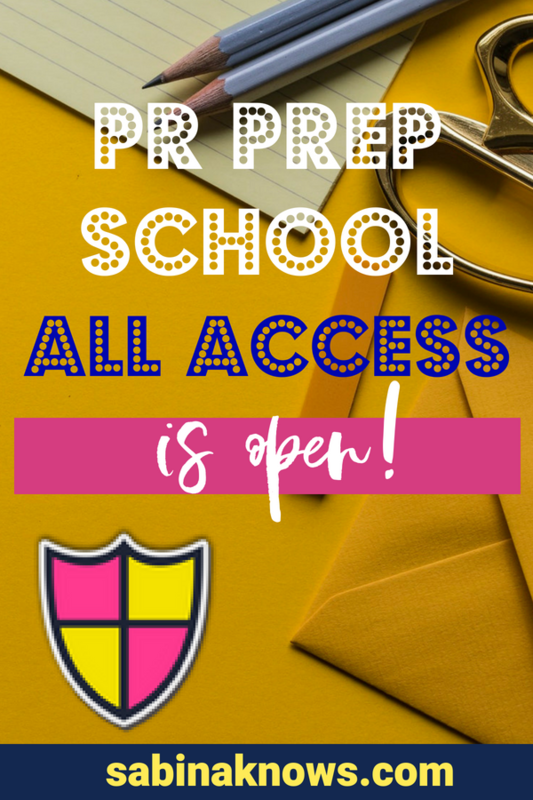 Grab Your Spot: PR Prep School All Access Enrollment is Open! Before I spent years in an actual classroom teaching and writing education curriculum – even my own textbooks at one point – I taught summer camp, and as an older sister I like to think I’ve always been drawn towards showing my younger cousins and siblings how to master new skills and embark on new adventures (whether all of those things were always a good idea is up for debate). Later, while running a public relations agency in New York City for over a decade, I was drawn to teach again. This time, to teach entrepreneurs and small business owners all that I knew about getting publicity for their businesses and themselves. Those lessons began in coffee shops and in group meet-ups, and grew to national speaking engagements, to a small business community where I taught the magic of PR, to sharing PR skills with the national press, and eventually, many of those lessons, strategies, and tips became part of my ever-growing Press for Success, online education platform. You needed ongoing support and ever-expanding PR skills. You wanted more encouragement, accountability, and bravery boosts (let’s be real, that’s what PR takes). 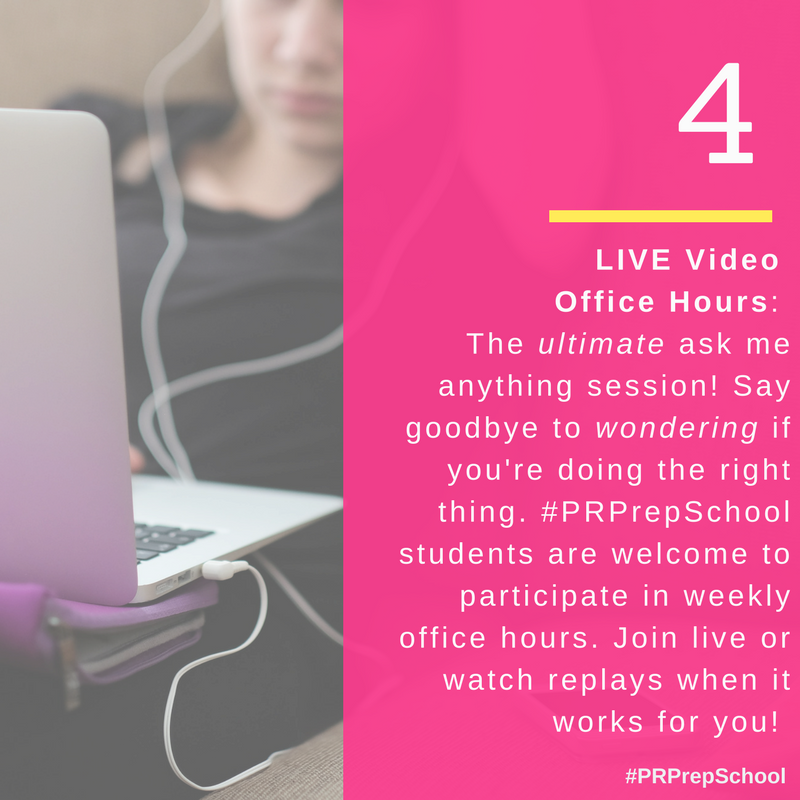 You asked for more real-time interaction with me answering your personal PR questions, as well as honest, insightful, and fluff-free lessons from other industry experts and members of the press. 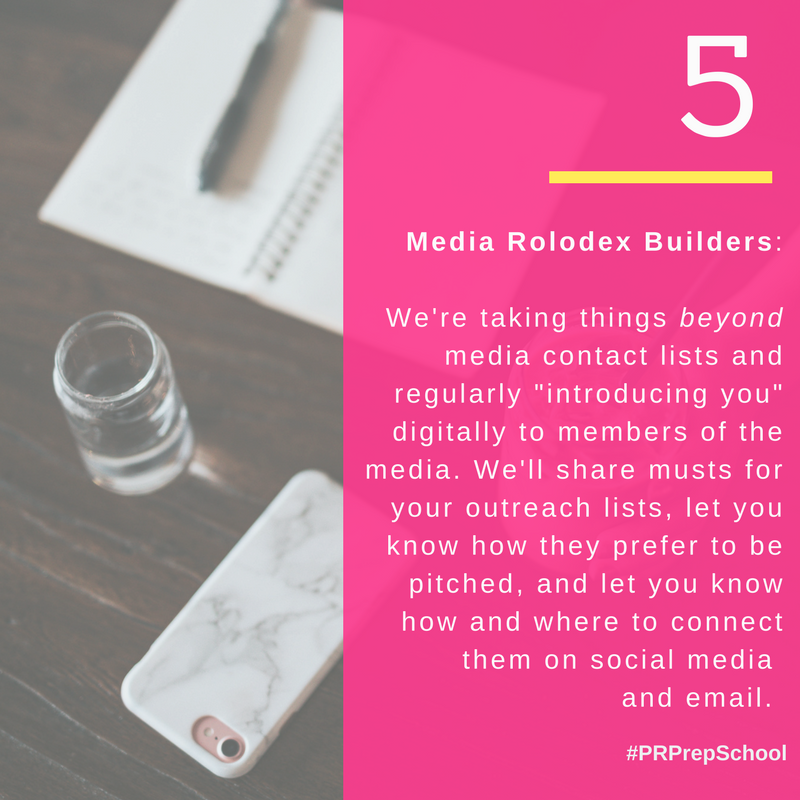 We all were ready for a streamlined place to access the PR opportunities, connections, and introductions that I’ve always made accessible to entrepreneurs, experts, and small business owners like you. I created a home for you online that delivers on all those things you want and need as a business owner – and more – and you can read about them below! 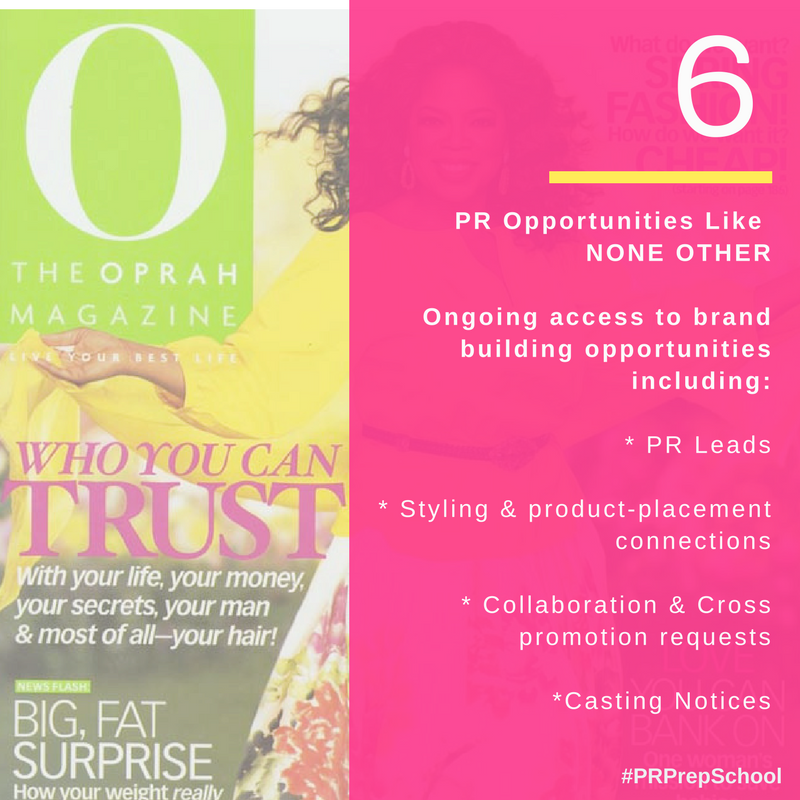 When I talked to my team about building this, it didn’t take long to realize that all of this PR magic needed a home beyond the Sabina Knows platform, and before long, Press for Success PR Prep School, All Access was born. Today, you can become one of the school’s ongoing, all-access students, and the moment you make that decision, things will start changing for your business, for good and fast! 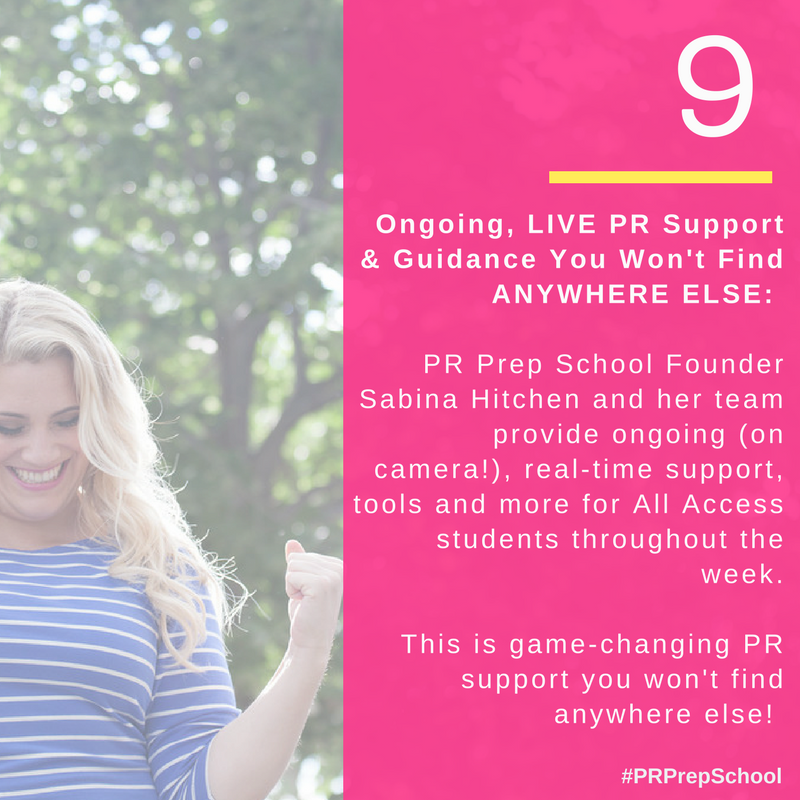 Even when PR Prep School was only a seed of an idea, we knew it would need to be accessible, from the ease at which you can access the lessons, tools, and information you need, to the enrollment. That’s why we made it low cost, with no long-term membership commitment. We know what running a business is like, and we wanted this to be an easy, stress-free improvement for yours. I’ve broken down the business benefits you can get instant, ongoing access to when you enroll and you’ll hear about it more in coming days in the Press for Success Facebook Community, my own Instagram, among other places. We also welcome you to reach out at any time should you have questions, via support@sabinaknows.com. But that’s not all! Each course comes complete with all the “bells and whistles” meaning they arrive right into your student dashboard with the full video training course, along with all the templates, tools, and pitch scripts you need to not only learn the strategies the course teaches you but begin taking action immediately! You will have access to these course offerings to take (as many times as you want) for as long as you’re enrolled! Begin watching our newest TWO courses, the moment you join our All-Access program! START HERE! There’s nothing that gets me more inspired – not to mention fills me with insider strategy – than watching an on-camera interview with someone who is succeeding in areas of business that I want to succeed in – tell me just how they’re doing it. That’s what our Buzz Builder Confidential Interviews are all about – and they’re only accessible to Press for Success All-Access students. Because we keep these golden video nuggets under lock and key, our guests are able to get realllly truthful about how they are doing it, in terms of growing their brand and getting publicity, and how they deal with facing mindset obstacles that could hold these darlings of the press back if they didn’t have a plan to deal with them. We kick off our series with Dawn Del Russo, who was more than generous with her breakdown of how she has built a career as an on-camera lifestyle expert that has the press coming to her – and answering her pitches – on a regular basis! Say goodbye to inconsistent (and not-so-fun) PR work that ebbs and flows without direction! These Boosts are just the bite-sized bits of PR action steps + encouragement you need to get going and keep going every week! 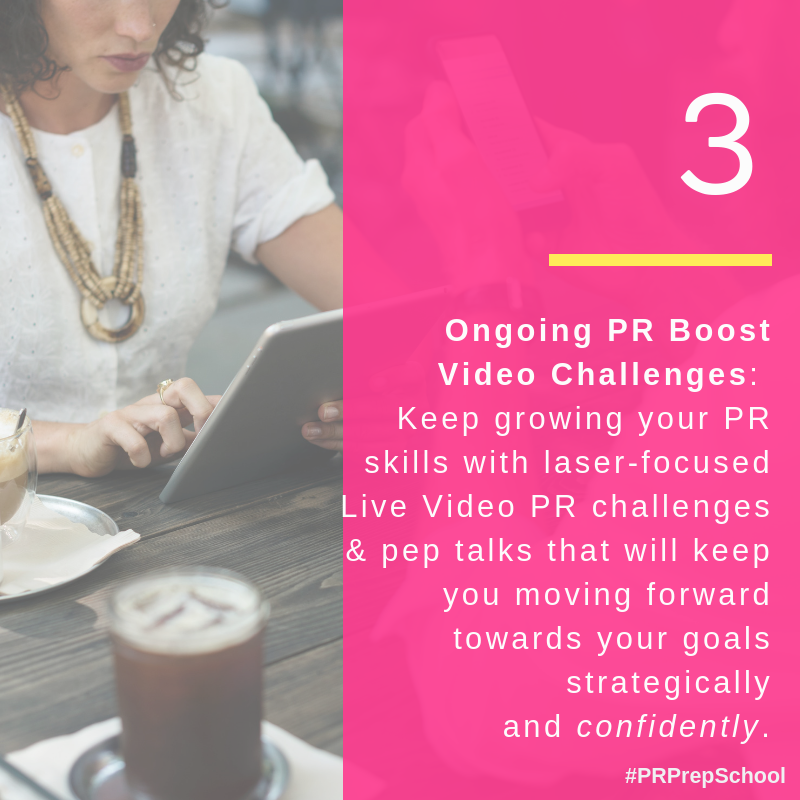 I consider our PR Boost Challenges the secret to your PR skills and your buzz building gradually and consistently every month, without feeling like a chore. Choose the boost you need at the moment, and begin at any time, watch past challenges in our Library again at any time, and get all the support you need while you execute them in our Facebook group and via our weekly office hours. 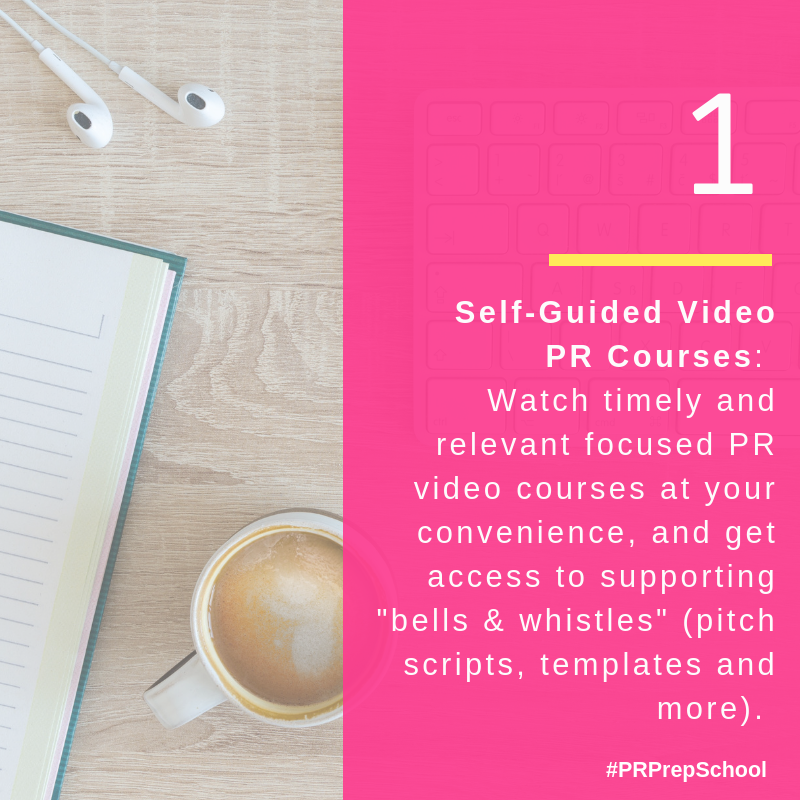 Enroll and watch your first PR Boost immediately – recent popular boosts include Laser Focusing on Building Media Relationships, and How to Answer a PR Lead Like a Pro, and you can watch these and take them at ANY TIME – sound like a plan? COME ON IN! We know that waiting for PR questions to be answered, or even worse, Googling the answers (talk about a scary rabbit hole that will take you down) can be tough, and that’s why we sought to eliminate that frustrating feeling as much as possible in our All-Access program. To ensure our students feel supported and have questions answered so they can keep moving forward with their PR plans, we not only encourage ongoing dialogue in our private Facebook community, we host WEEKLY ON CAMERA OFFICE HOURS during which students are invited to ask Sabina (and occasional guest experts) their burning buzz-building questions live, and receive real-time responses. Can’t be their live? Not to worry, they’re recorded for you to take advantage of at your convenience. Our are every Thursday evening and are always recorded if you can’t be there live. DON’T MISS ‘EM! From the Today Show to Accessories Magazine, New York Times to AARP – even dot-com freelancers, we’re elevating the way you look at who you’re pitching. Is this a media contact list? Heck no! We’re giving you access not only to contacts but to the chance to build actual media relationships and learn how to pitch your media targets- straight from the media targets themselves! These regular offerings – often delivered readable, “5 Minute Interviews” – are invitations to learn how to pitch and communicate with members of the press like a pro by sharing inside information about how to pitch them correctly, what they’re actually looking for, what they hate to receive in an email pitch and more. Let’s be real. It’s one thing to hunt down and get access to an email address. It’s another thing entirely to receive that information PLUS insight from the member of the press themselves telling you what to do when you decide to email them. Let us help you build a media database that truly has value, and leads to relationships. JOIN OUR ALL ACCESS PROGRAM NOW! One of the results of my 10+ years in the world of public relations and brand building is the massive quantity of opportunities that cross my desk nearly every single day – from PR leads (not your mass mailed HARO request, my friends) to casting notices, requests from stylists and costume departments to collaboration and cross-promotion opportunities. To streamline the way we deliver these opportunities, they will now be housed in our All-Access program, giving enrolled students the exclusive chance to act on them for publicity and buzz. Sign up and get access to every single brand-building golden moment that comes our way. You never know where from – or when – your big break will come! It’s hard to move forward significantly every week if you’re the only one holding yourself accountable. But committing to at least trying to face some of your PR challenges doesn’t have to be scary or anxiety-inducing. In fact, we’d like you to see our community as a safe place to commit to just that – simply trying. Let our All-Access community help you hold yourself accountable to simply try. Try to take consistent, weekly action where your PR is concerned. Try to complete your weekly, bite-sized PR Boost Challenge. Try to begin believing in big possibilities for your publicity, your visibility, and your business. We’ll help you make sure you do, and keep you tapped in! One of the BIGGEST KEYS to your press success is your ability to tell the right story about yourself and your business, to the right people, in the right way. But copywriting can be hard, and not all of us are writing pros! 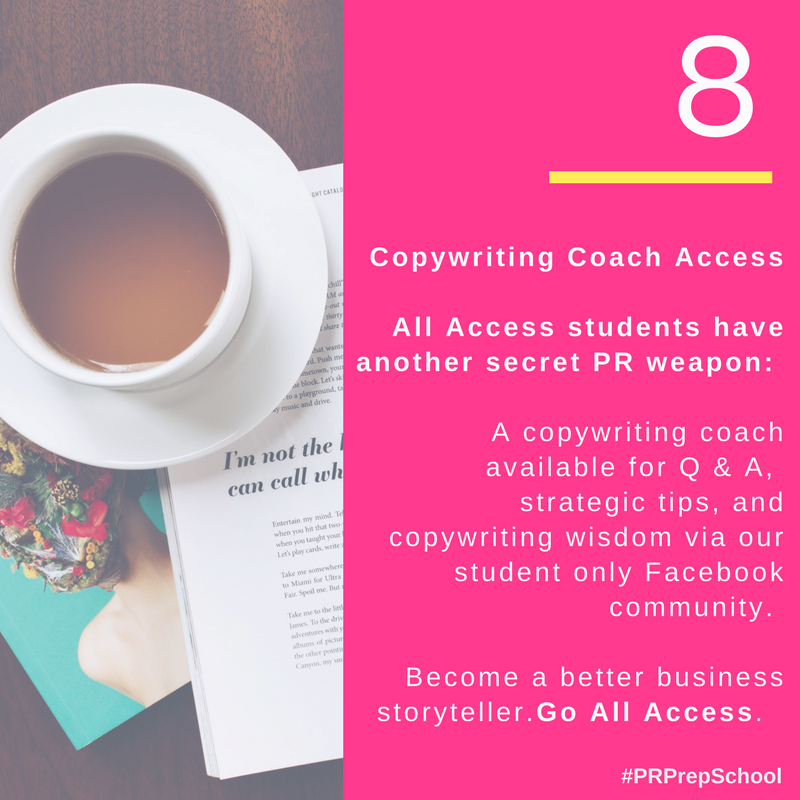 Good thing our All-Access program gives you access to a copywriting coach, the one and only June Eding of Tough Sprinkles, (also the author and ghostwriter for countless books) who will pop in regularly to answer your PR questions, share PR tips and shortcuts, and help make you better at writing about your biz! Business is hard. Public Relations – especially DIY style – can be hard. But it doesn’t have to feel like you’re doing it alone, and you can turn to others to stay on track, learn shortcuts, remain uplifted, and feel/see/hear others cheering you along as you learn and take action. One of my favorite things that I’ve seen our PR students do on their own for over the past year is encouraging each other, challenge each other to keep going, and lift each other out of those totally-normal-but-don’t-hang-out-there-too-long dark moments of entrepreneurship. That’s why I am so excited about the ongoing accountability and support you’ll receive when enrolled in our All-Access education program, from YOURS TRULY, as well as other students, Press for Success coaches, and surprise guests! Are you ready to begin? Perhaps to begin again, but this time with strategic and mindset support like none other behind you? With tools, accountability, ongoing education, PR perks and more you won’t find anywhere else? There’s one last thing to talk about and that’s your investment. 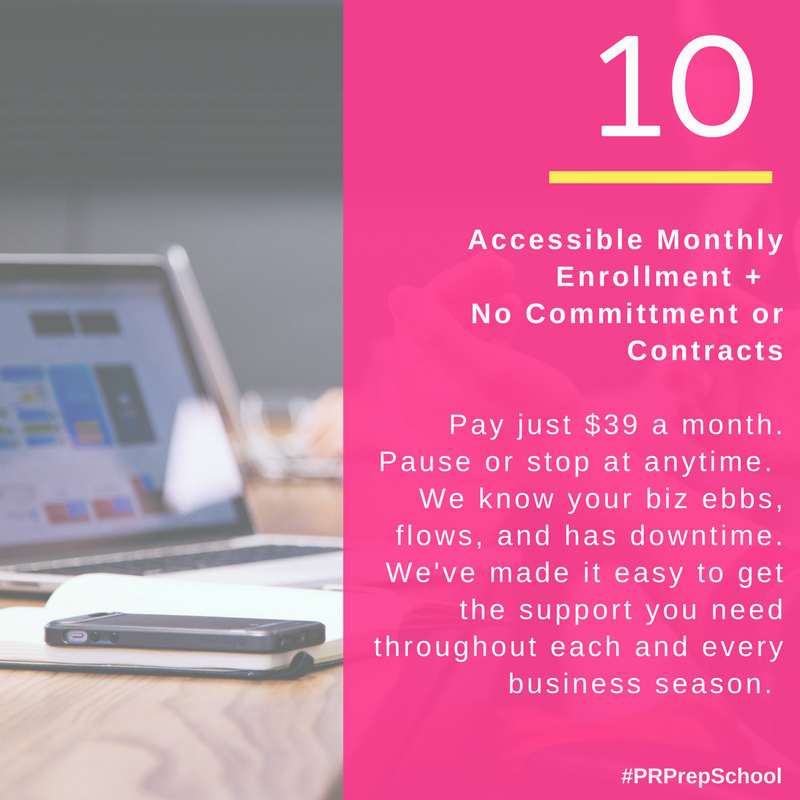 As I mentioned before, when my team and I committed to creating this home for you, we committed to continuing my quest to make public relations accessible to all – and that’s why our monthly All-Access program cost is only $39.00 a month. Not only that, your membership is long-term commitment free. You’re billed once a month (determined by the date you join) and you can unsubscribe at any time! Are you ready to change the way you learn, do, and receive publicity, for the better? Is your current PR plan or system working for you? Do you perhaps not have one at all? Let’s change that, and usher in a new way of getting PR done more effectively, efficiently, and successfully, and have an incredible, empowered time while we do! Come let us support you and your business through every part of your PR journey. Come join our All-Access program. SIGN UP HERE, BEGIN TODAY!